This post was updated with additional information about apps in the Office 365 gallery. More than ever before, users expect an unparalleled productivity experience on the web. As we continue to expand the broad set of online productivity tools available to Office 365 customers, we are also committed to improving the experiences that help you understand, navigate, and collaborate across the entire Office 365 ecosystem. Today, we’re announcing a redesigned web experience for Office.com, an easy-to-remember URL to help you sign in to Office 365 and get to all your apps, documents, sites, and people. We’ve also simplified the Office 365 app launcher to help you open and switch between your web apps easier. Finally, we’re introducing the new Office 365 gallery to provide Office 365 users with personalized information about the apps, tools, and services already in their subscription. Office.com is the fastest and easiest way to get started with Office 365—by getting to your favorite app quickly, opening your Office documents, starting a new project, or seeing the activity across your shared files. 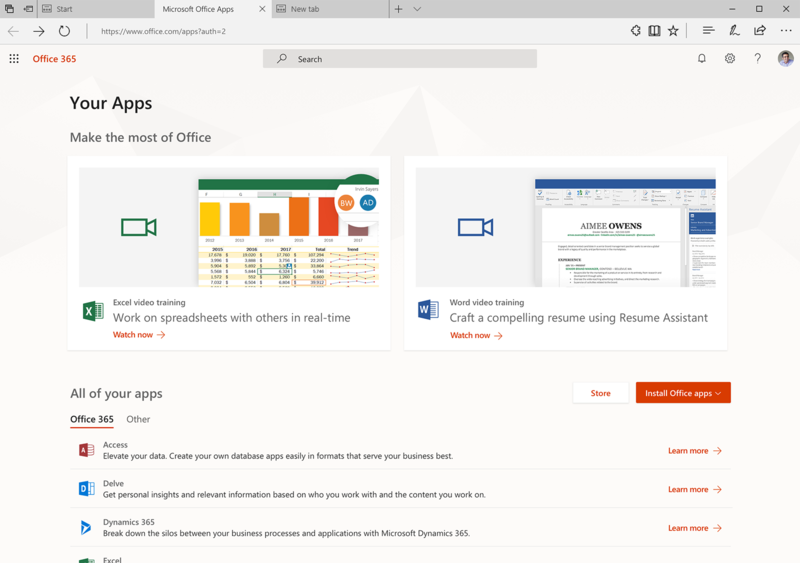 We are also improving the Office.com search experience to allow you to find Office 365 documents, apps, people, and sites directly from Office.com. 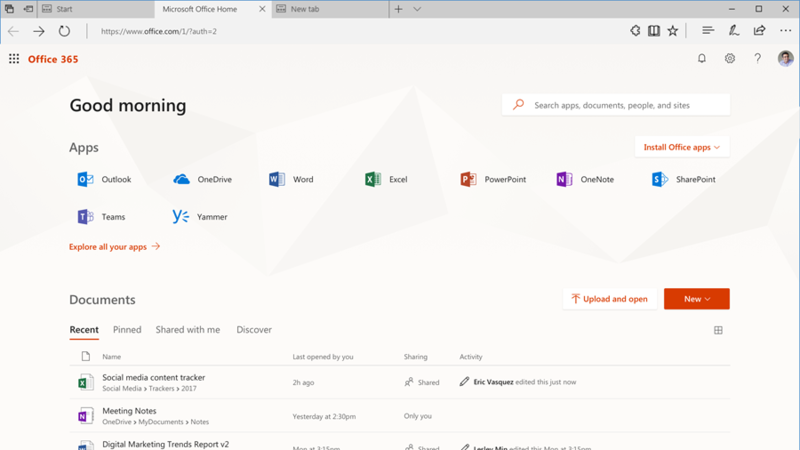 Updates to the Office 365 app launcher make opening and switching between your web apps easier than ever by highlighting the most used apps in Office 365. The simplified design provides smarter defaults that are relevant to the type of work you do and allows you to access recent online Office documents from anywhere in Office 365. You can now explore and learn about the full range of applications you already have access to with the new Office 365 gallery. Based on your subscription and usage patterns, the gallery provides suggestions on the right app to use for what you are trying to accomplish. You’ll see descriptions, resources, and quick access to install desktop or mobile versions. The Office 365 gallery shows your Microsoft Office apps, like Outlook and OneDrive, as well as your Azure Active Directory apps. Click Explore all your apps from Office.com or the Office 365 app launcher to access the gallery. 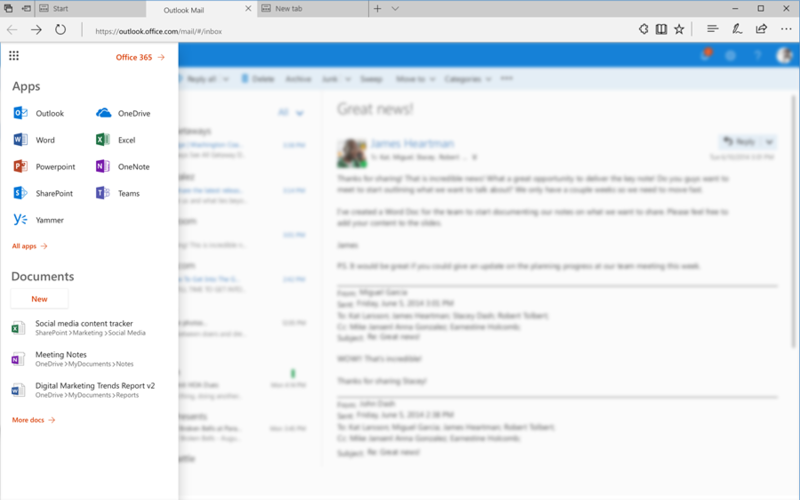 Office 365 customers will see these changes roll out soon. Watch the Microsoft Mechanics session below to learn more. If you’re attending Microsoft Ignite this year, be sure to check out BRK1050—New web experiences in Office 365 that empower your users to get an inside look at these new experiences.